The Indians laid their dead on a Memaloose Island to be returned to the earth. 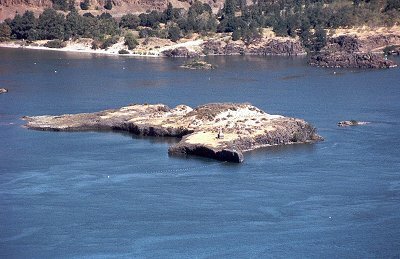 The islands are located just west of The Dalles and are visible from the Historic Columbia River Highway. Memaloose is not the name of the island in the photo, it is the purpose of the islands.